The new BMW X4 will arrive in September. PRICES for the new BMW X4 Coupe will start from $76,900 plus on-roads when it arrives in September. There will be four variants, with the range-topper new a M40i Performance model at $109,900. The X4 will be longer, wider and have an enlarged wheelbase compared to its predecessor. 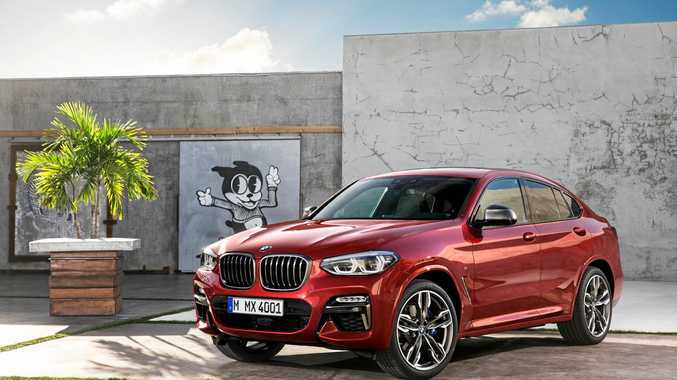 "Following on from the initial success of the all new BMW X3 in the market, we are excited to bring the all new BMW X4 Sports Activity Coupe to Australia,” said BMW Group Australia CEO, Vikram Pawah. 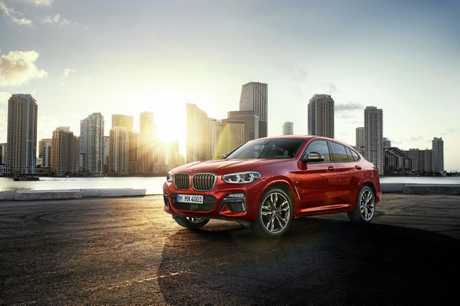 "From the well-equipped X4 xDrive20i through to the first ever X4 M40i M Performance model, the X4 range brings strong dynamics, efficiency and performance to the expanding SAC space,” he said. 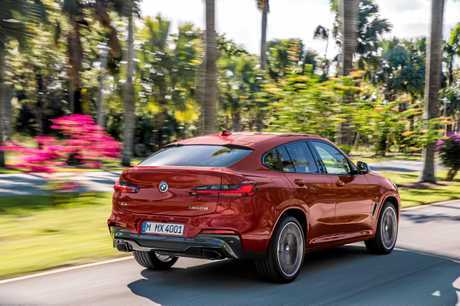 "The second-generation BMW X4 brings together a distinctive, dynamic silhouette with a clear, pared-back use of forms,” said Senior Vice President BMW Group Design, Adrian van Hooydonk. 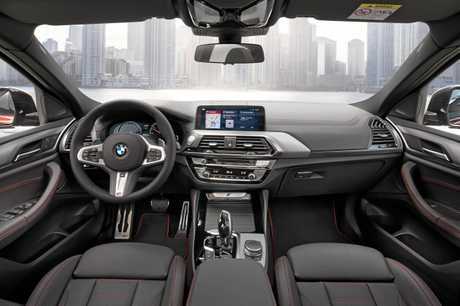 Basic equipment will include features used in the 7 Series limo and other high-end models, including a central 10.25-inch colour infotainment touchscreen. Like the compact X2, the "adventurous” M Sport X Package will be available as a no-cost option on xDrive20i, xDrive20d and xDrive30i variants. The M Sport X package adds a M Aerodynamics exterior package, grey design elements including the front kidney grilles and side cladding strips, M Sport adaptive suspension, M sport brakes, BMW Individual high-gloss 'Shadow Line' window surrounds and 19-inch alloy road wheels on xDrive 20i and 20d variants, and 20-inch wheels on the xDrive30i. As standard, these X4 variants are fitted with the M Sport Package. Every BMW X4 comes with all-wheel drive. Base xDrive20i is powered by a 2.0-litre turbocharged four-cylinder petrol engine generating 135kW and 290Nm and is capable of reaching 100km/h from rest in 8.3 seconds. The similarly-specified xDrive20d uses a 2.0-litre turbocharged four-cylinder diesel which pumps out 140kW and some 400Nm of torque, for 0-100km/h in 8.0 seconds. Next in line is the xDrive30i, powered by a a 2.0-litre turbocharged four-cylinder petrol engine provides 185kW of power and 350Nm of torque. This enables 0-100km/h acceleration of 6.3 seconds. for the new performance variant, the M40i, it comes with a 3.0-litre turbocharged straight six-cylinder petrol engine, offering 265kW power output and 500Nm of torque. The 0-100km/h timing is stopped after only 4.8 seconds.